Kurisumala monstery or Kurisumala Ashram is a monastery in Syro- Malankara Catholic church. It is located in Vagamon in Kottayam-Idukki district border and was established in the year 1958. Kurisumala has been derived from two Malayalam words ‘Kurisu’ and ‘Mala’. The word meaning of ‘Kurisu’ is Cross and ‘Mala’ is mountain. This indicate the community of monks who lead a monastic life on the mount of Cross in the hill ranges. It lies at a height of around 4000 feet above sea level. Fr. Francis Mahieu who was a monk in Belgium was invited by the Bishop of Thiruvalla. Fr. Francis Mahieu then later accepted the name Francis Acharya. Fr. Francis Acharya together with Bede Griffiths started the Kurisumala Ashram in the holy mount at Kurisumala. 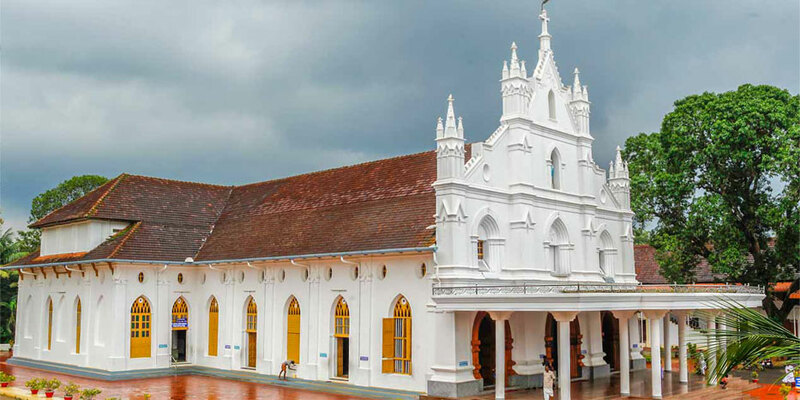 The Kurisumala Monastery is a diocese of Thiruvalla of the Malankara church. Kurisumala is a community of spiritual seekers. The life of the monks here is dedicated to God and for prayers. The priests have to leave their home and family and are not allowed to go home. Their families can come here and meet them. A unique feature of Kurisumala is that it is calm and silence here most of the time. The monks who live here make their livelihood by breeding the cows. The monks spend their life by praying, studying and working.